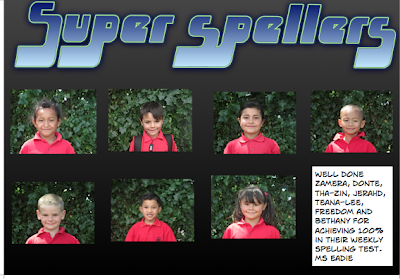 Well done to all the Super Spellers of Week 9. Keep up the good work, I am so proud of you all. Ms Eadie.